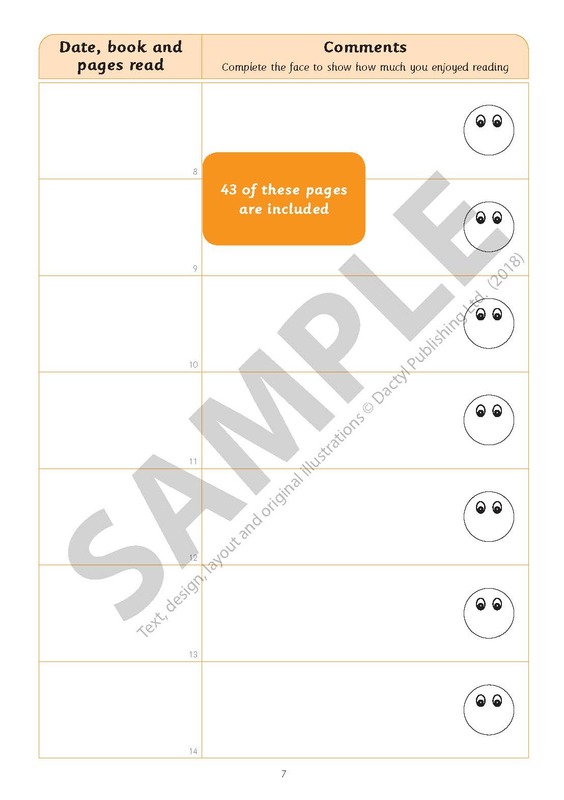 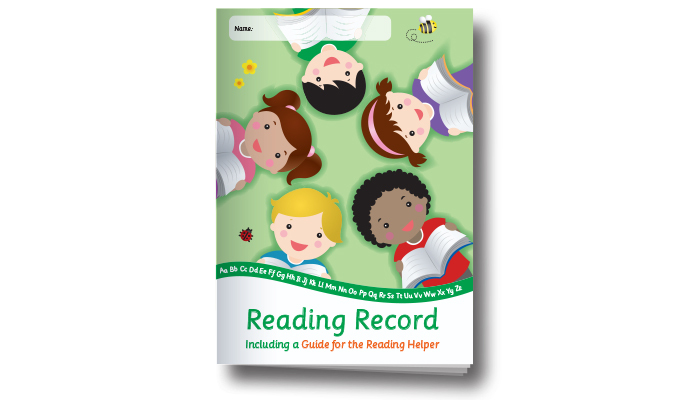 Each edition is A5 and has 40 reading record pages and a central 8-page full-colour guide for the reader and reading helper. 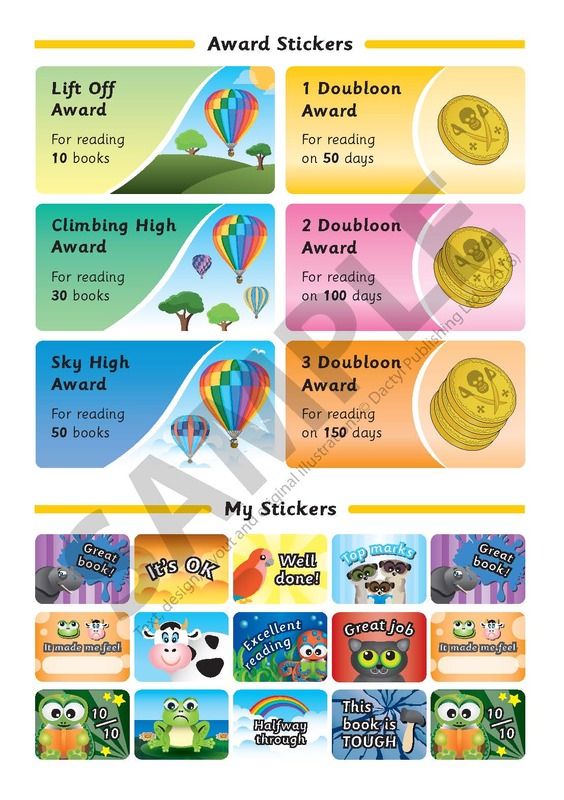 We have purposely not specified a target age range for the different editions. 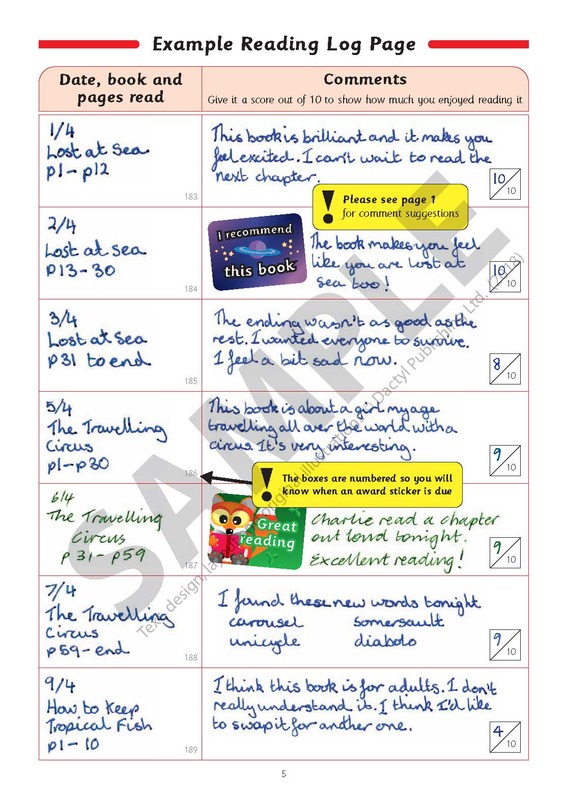 This will hopefully allow teachers to mix and match according to ability. 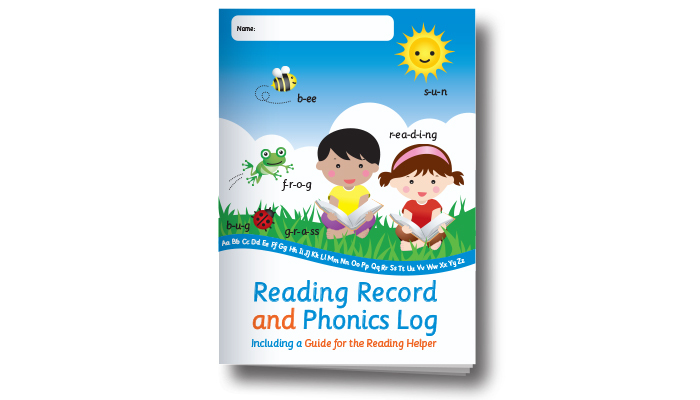 The blue 'New Reader' edition is for children who are learning to read using phonics. 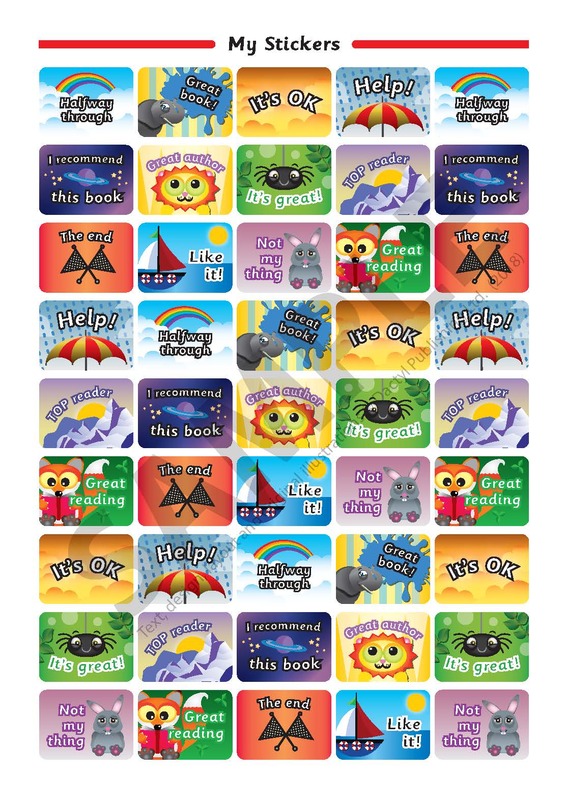 The green 'Developing Reader' edition is for children who already have a sound grasp of phonics. 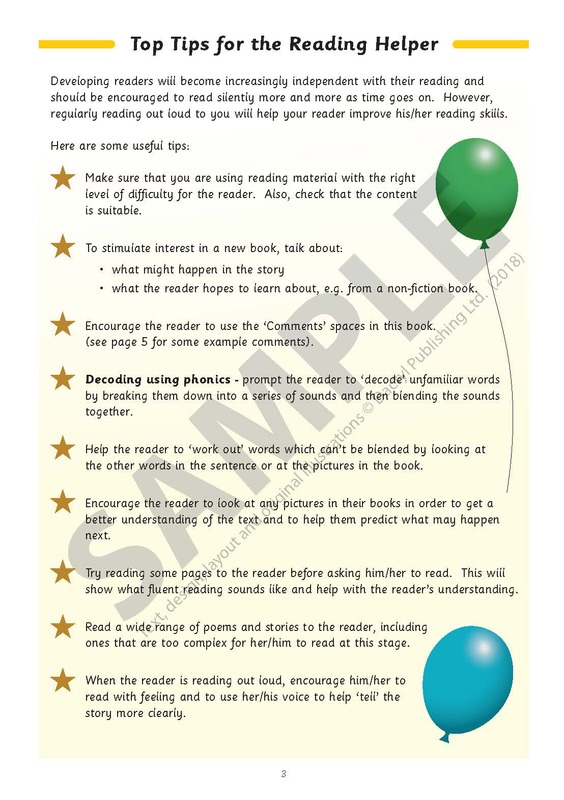 Their main focus will be learning to read for meaning. 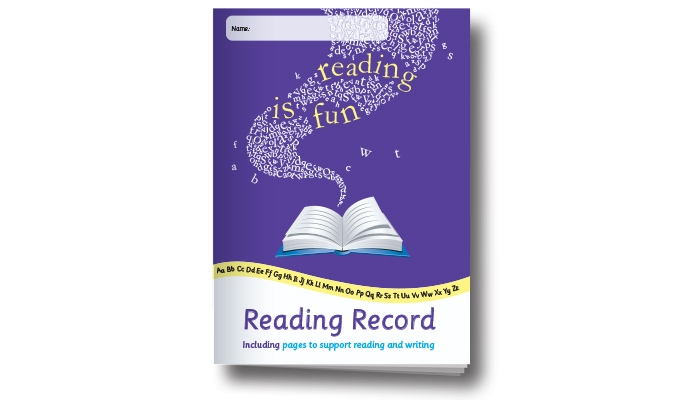 The purple 'Confident Reader' edition is for children who are becoming increasingly independent with their reading. 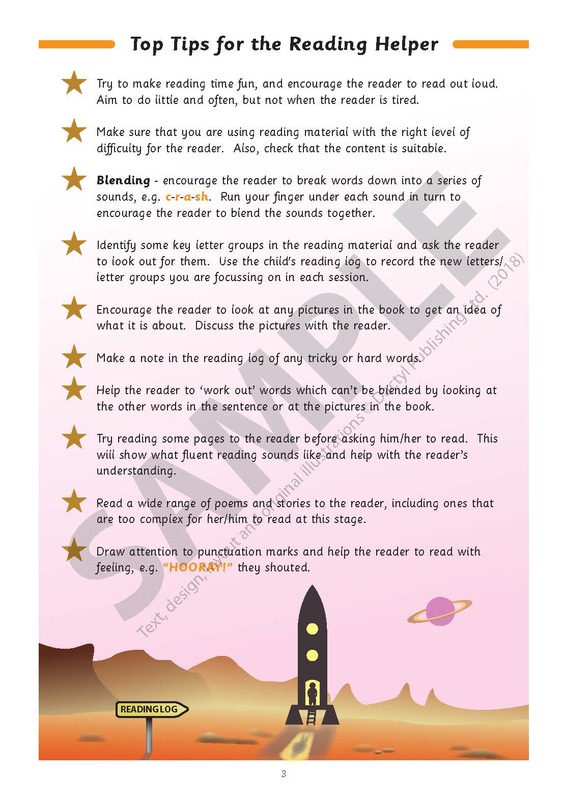 They will be striving to improve their reading comprehension and their writing skills. 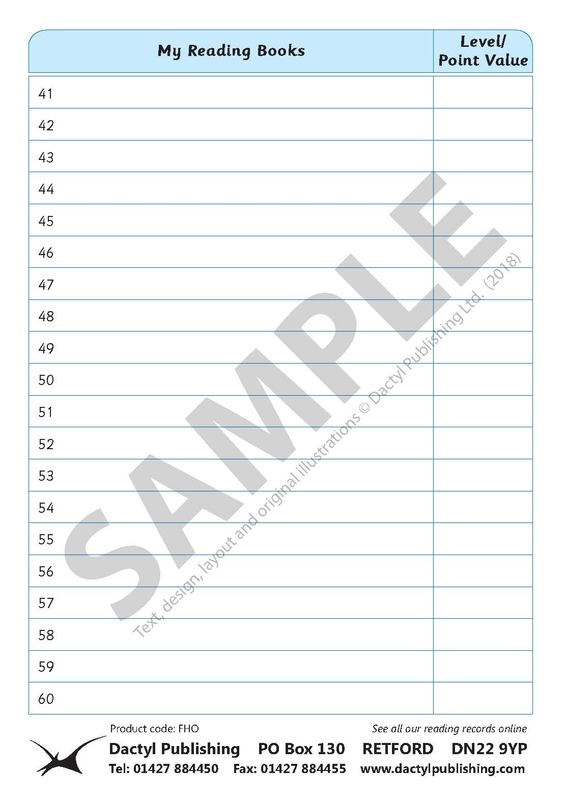 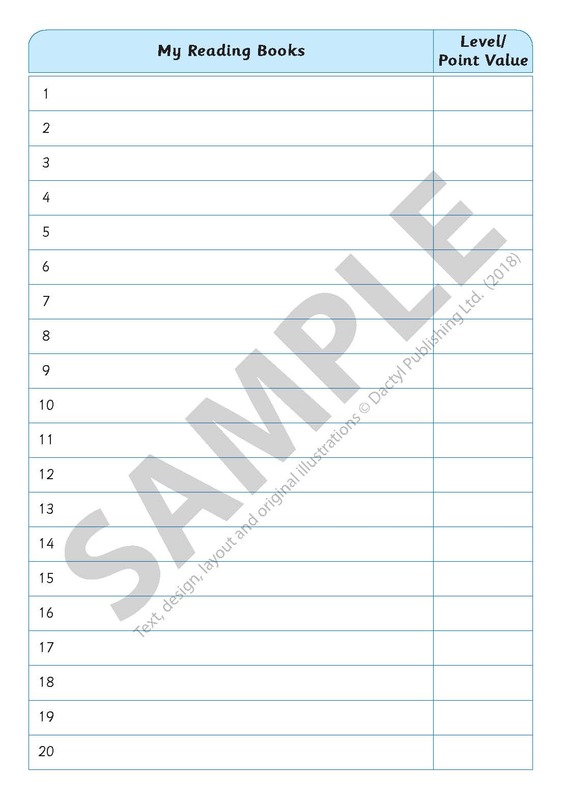 We charge an additional 20p + VAT per book to add bespoke covers (min. 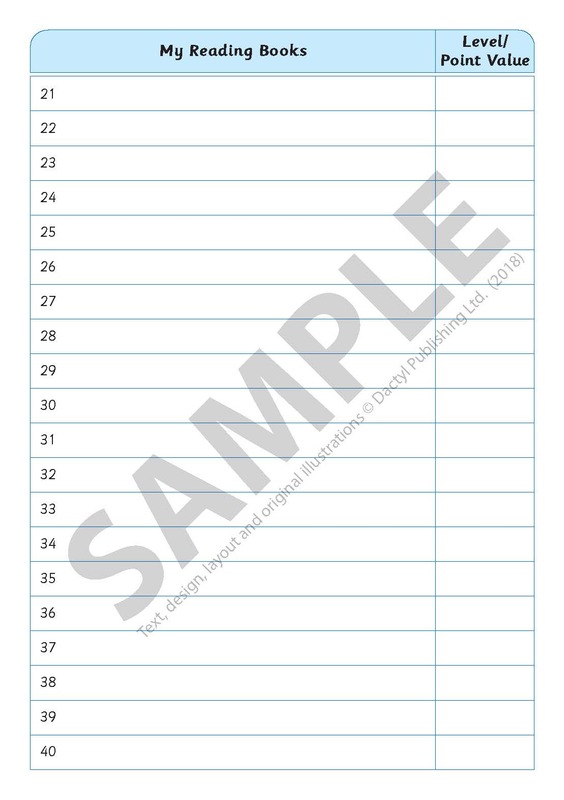 order 200). 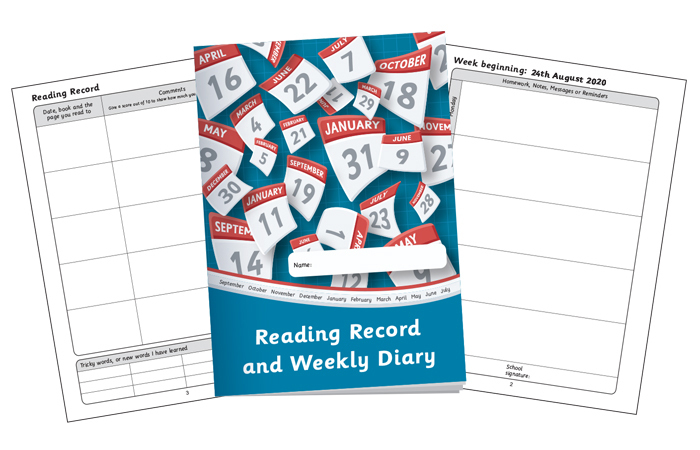 Please contact us by phone or email and we will send you our step-by-step guide to ordering reading records with bespoke covers. 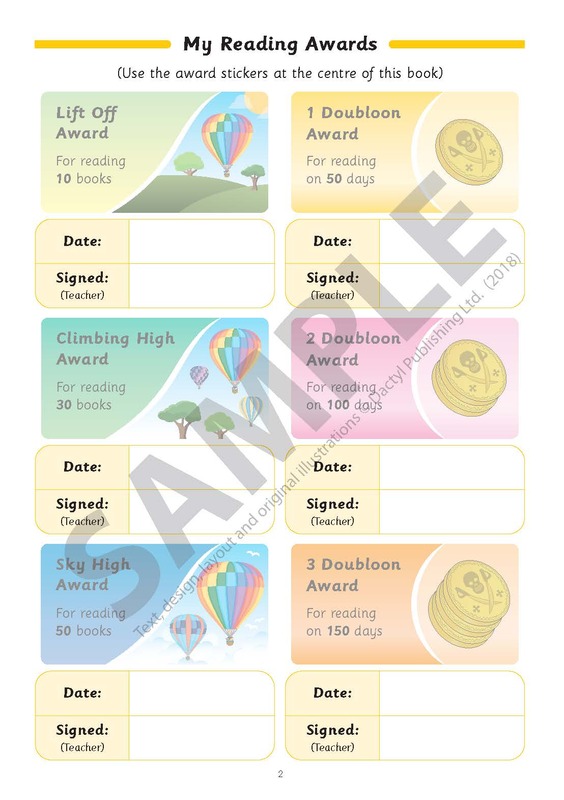 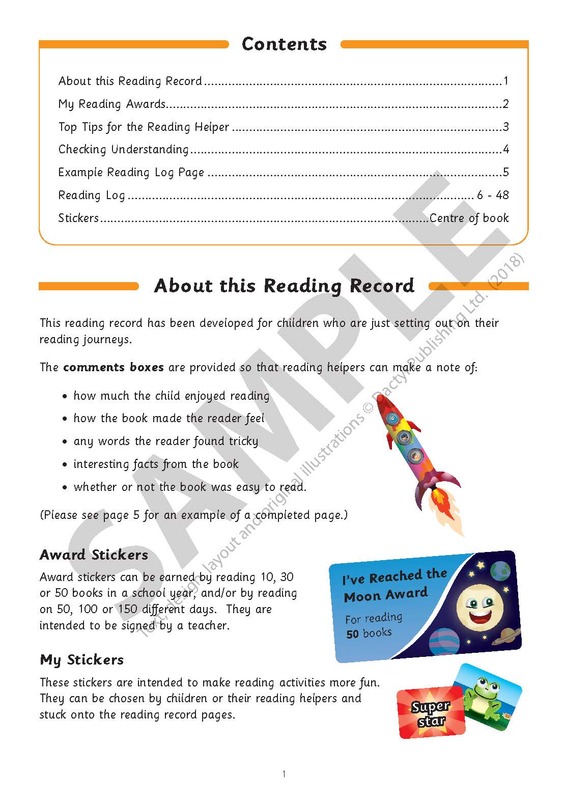 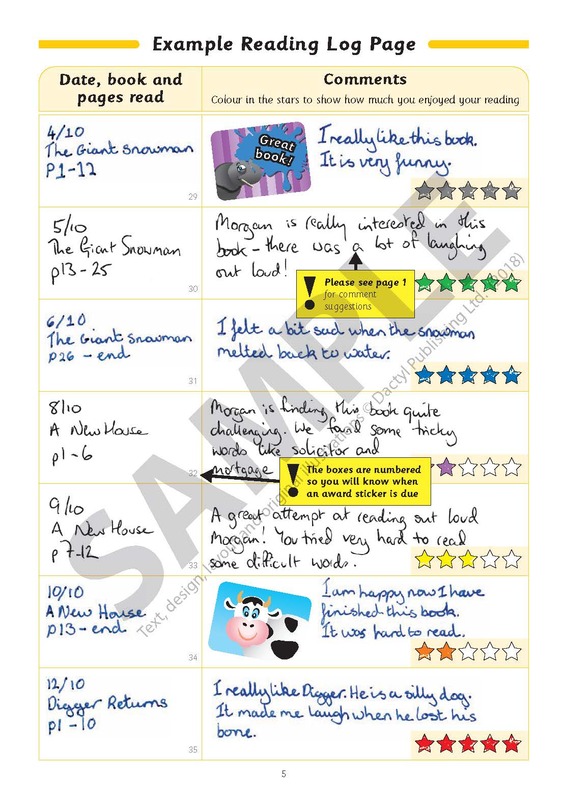 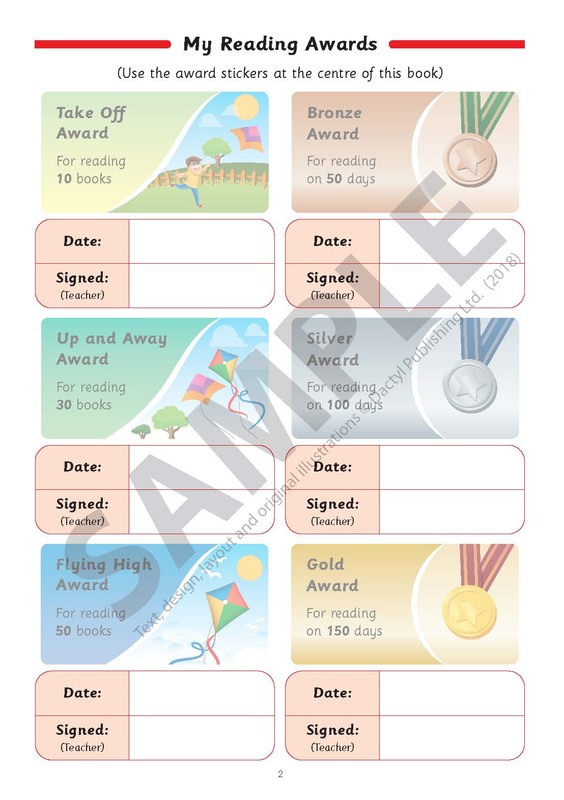 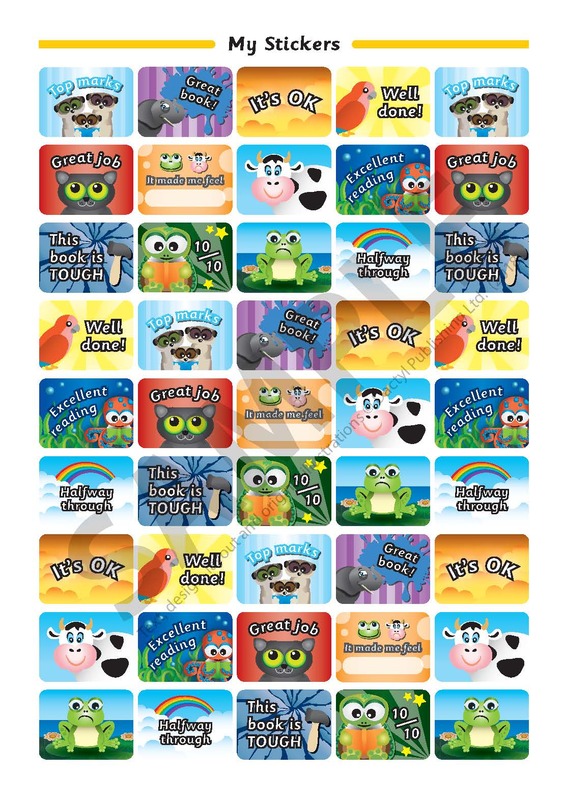 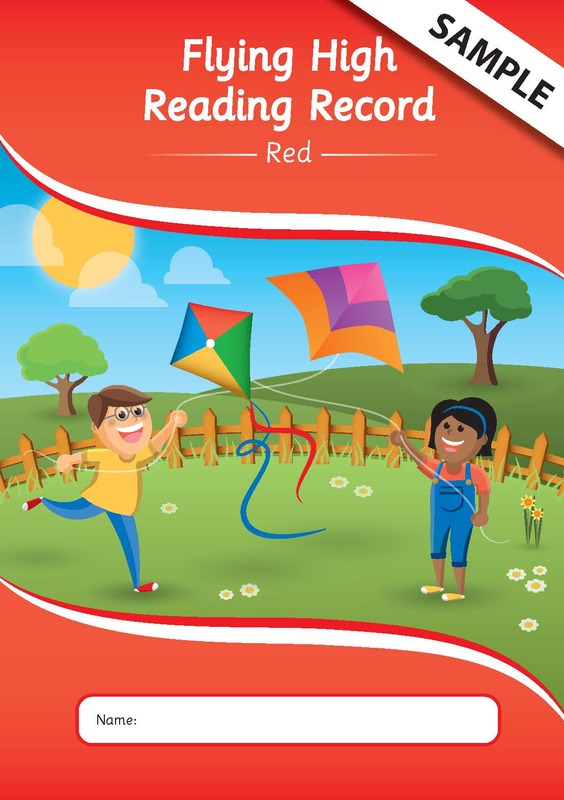 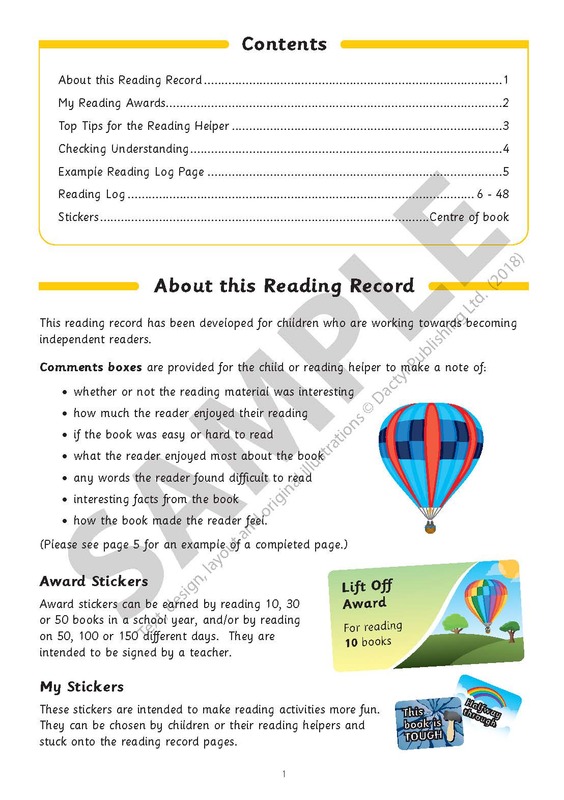 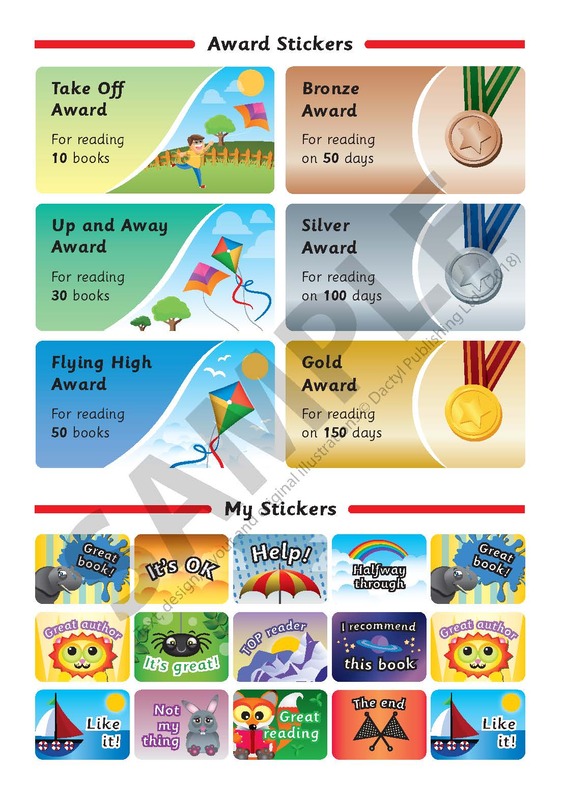 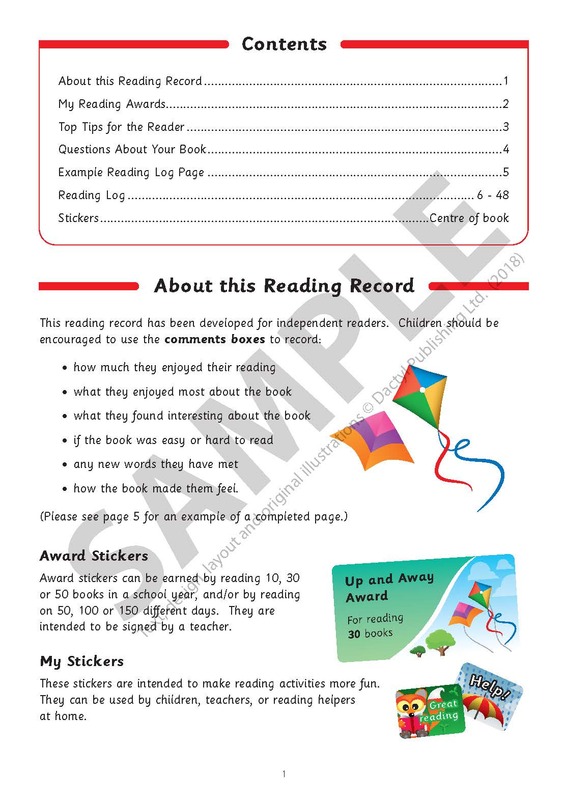 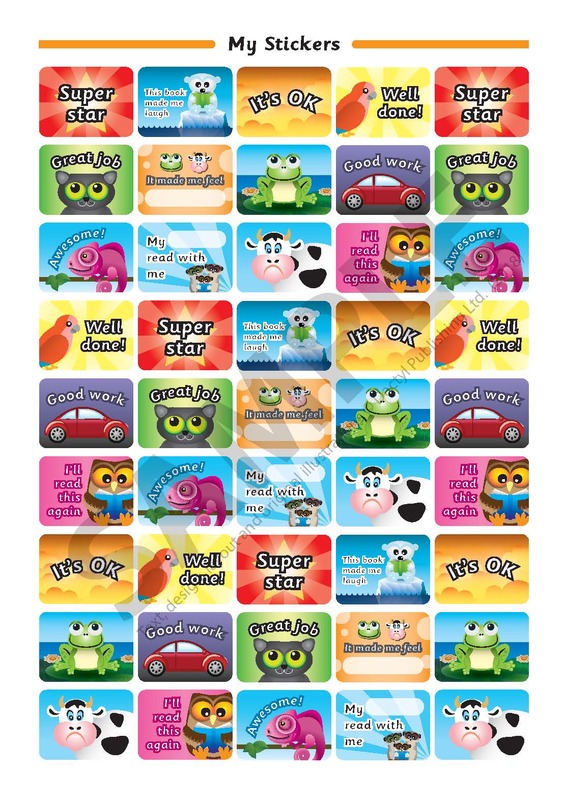 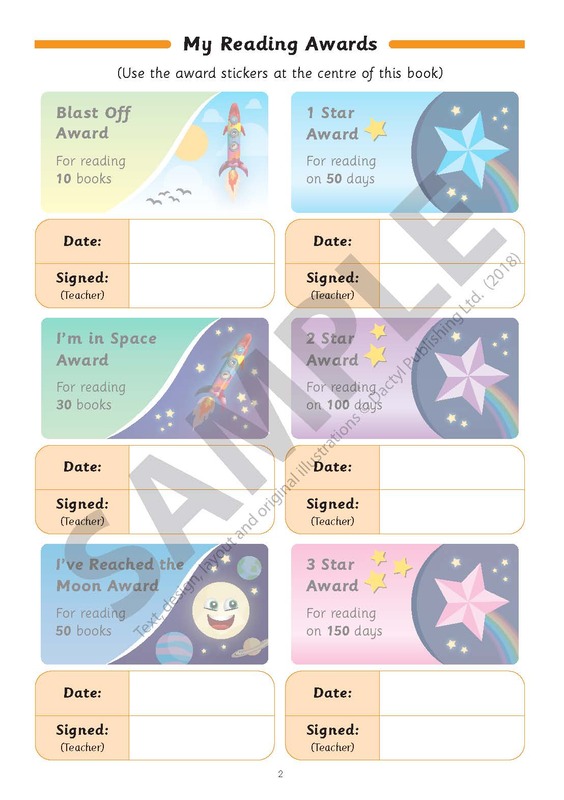 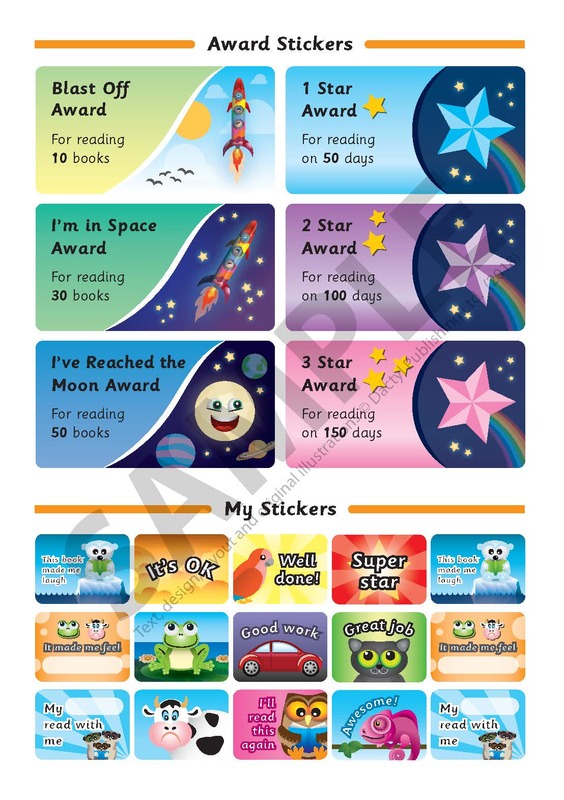 These A5 motivational reading records, with awards and stickers, have been designed to make reading fun. 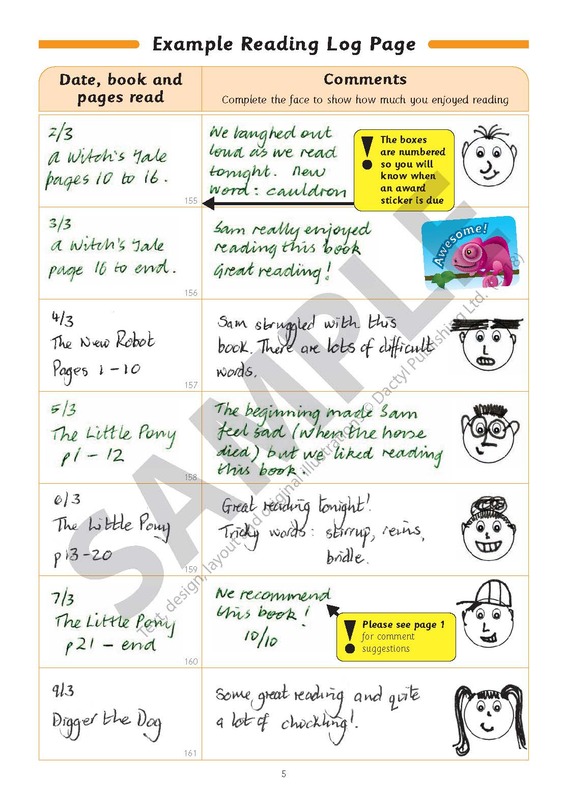 All editions are matt laminated. 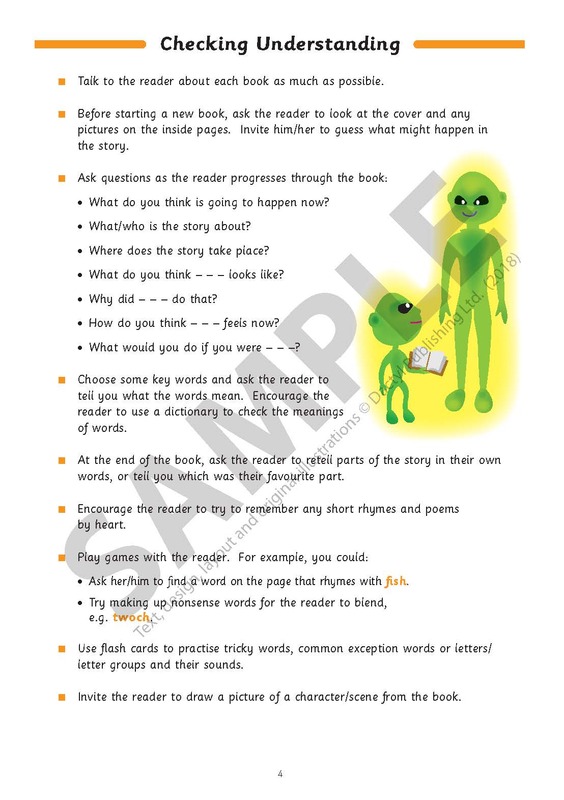 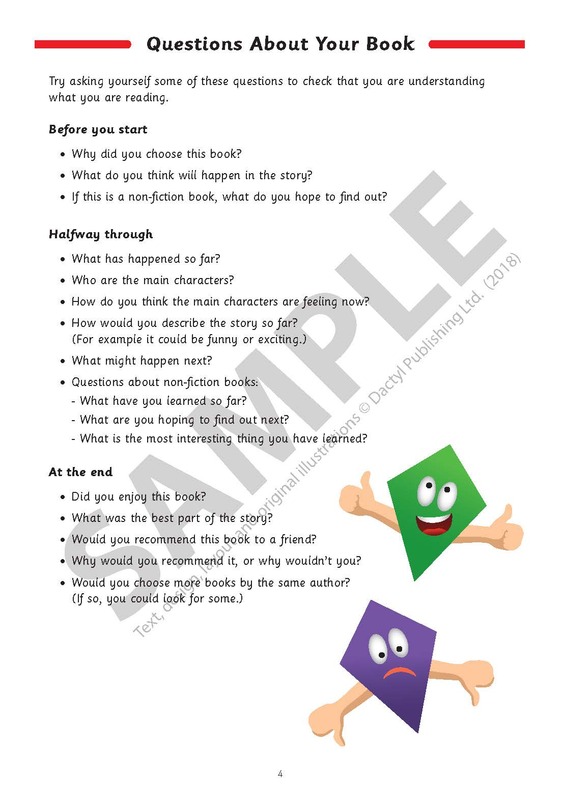 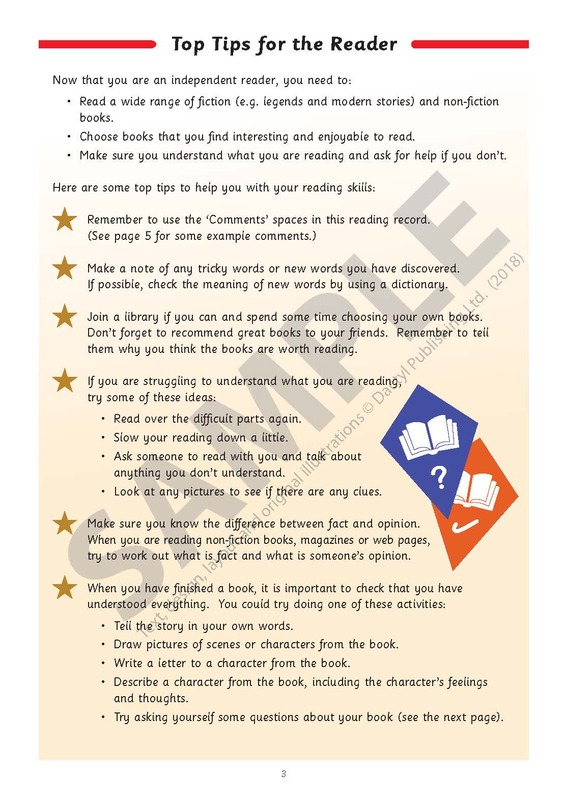 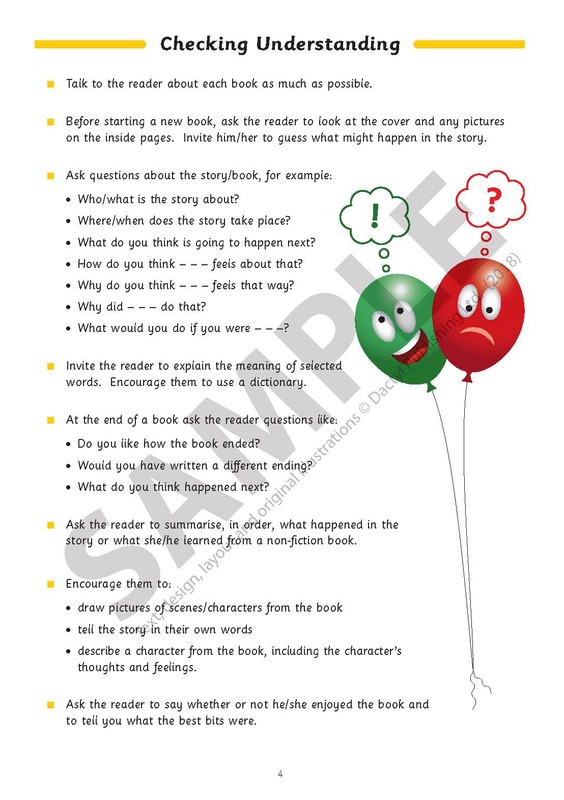 Each edition has a guide for the reader/ reading helper. 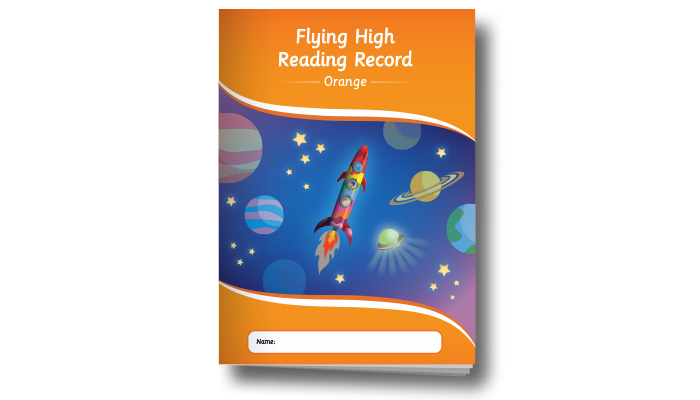 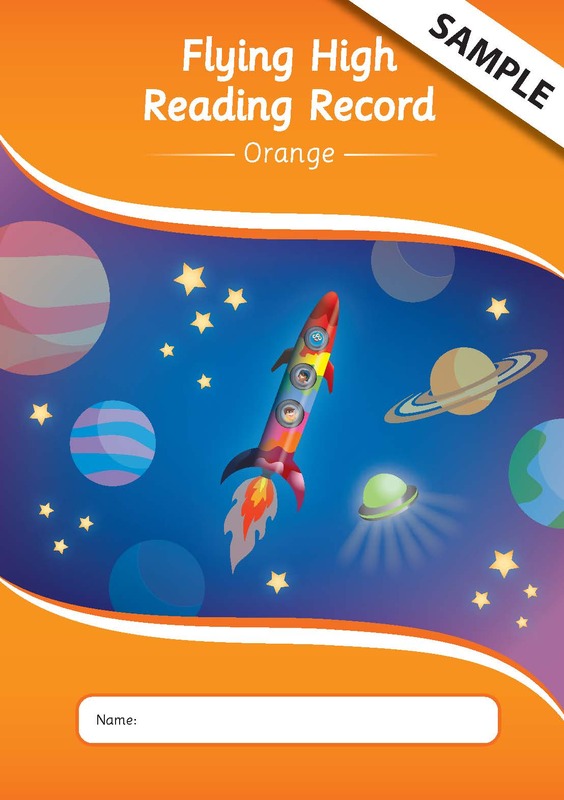 The orange edition is for children who are just setting out on their reading journeys. 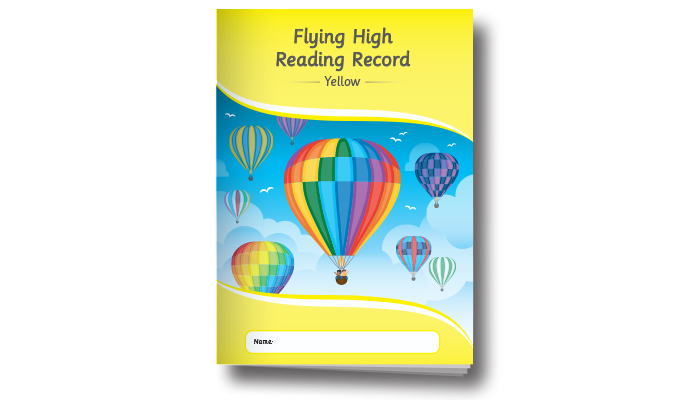 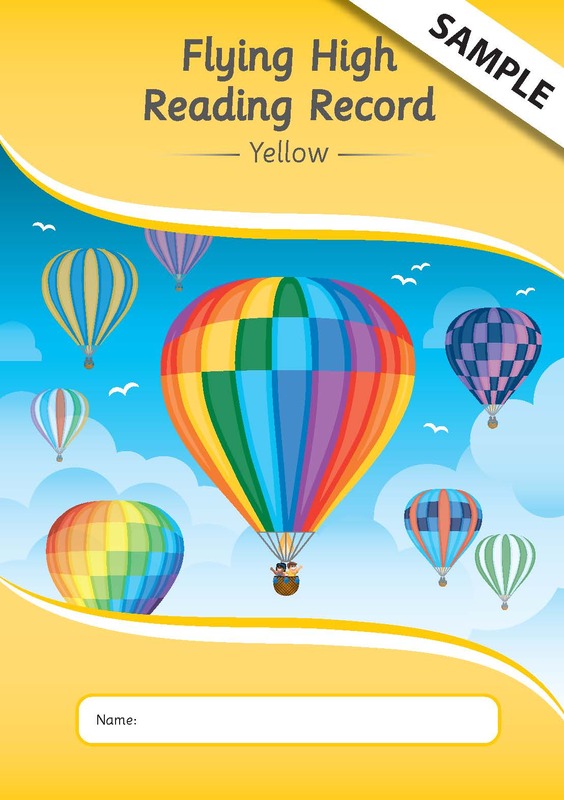 The yellow edition is for children who are working towards becoming independent readers. 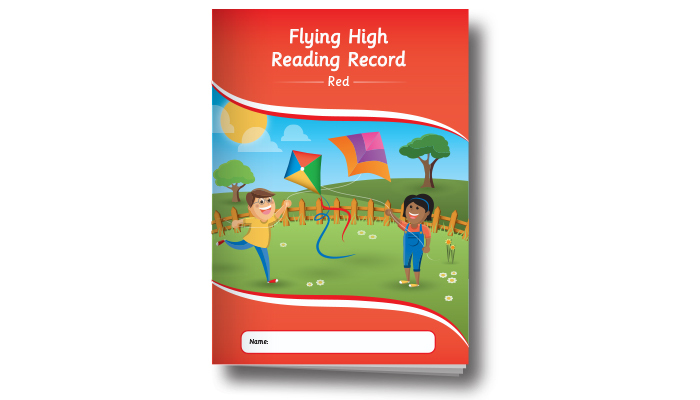 The red edition is for independent readers.